Buckley Steel Fence is an all steel fence product that will completely replace the demand for conventional horse fence and will be a front contender for vinyl rail style fence. 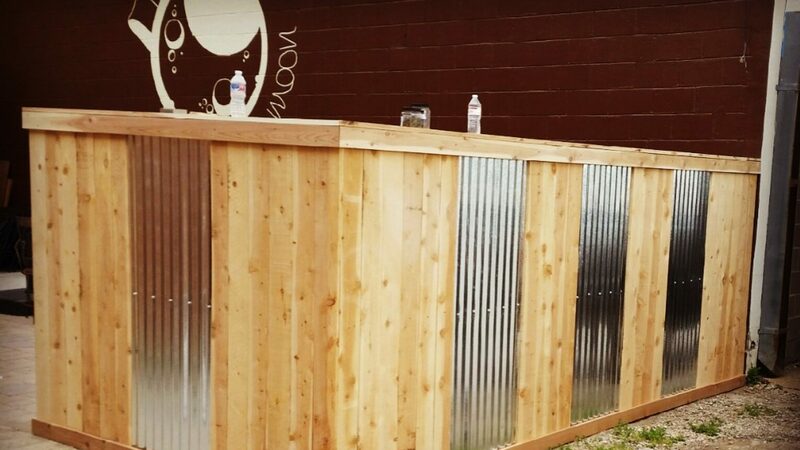 The product is fully steel square tubing Pre-routered post with steel board rails. Available in 3 and 4 rail systems and offered in matte black or glossy white, you are sure to find a combination that will fit your operation or property theme accordingly. Buckley Steel Fence is hands-down the clear choice when it comes to your horse property and is designed not only for beauty and an attractive framework for your property but for your livestock and equestrian investment’s safety. The equestrian owner holds the safety of their animals at a paramount level and Buckley Fence recognizes this in their design. 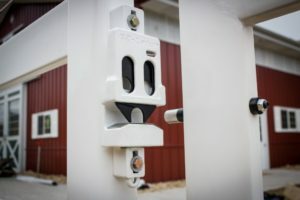 The fence system is designed to be incredibly strong and durable but the design of the fence also allows for impact protection if your horse were to run through the fence. 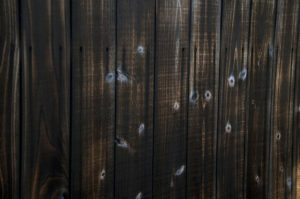 Buckley designers have designed the fence much like impact protection in the sports world. If a horse were to hit the fence in a run-away situation, the fence sections are designed to buckle and bend to the pressure and absorb the force of the impact leaving the horse with not much more than a bruise. This far outweighs the splintering effects of a wooden fence and do we even need to mention barbed wire when a horse spooks! If the fence is damaged (and of course your horse will not be) we simply come back with replacement steel board rail pieces and repair the fence within a few minutes. Gate systems are easy, functional and smooth as glass to operate even horseback with the “no sag, no pinch, no hinge” design. The gates are set to match the rail pattern of the rest of the fence, 3 rails or 4 rails, and look beautiful. 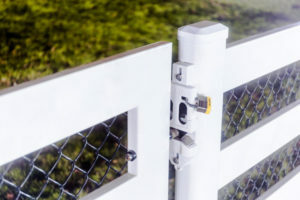 The EZ latch system complements the overall gate system with amazing function and fluid operation. 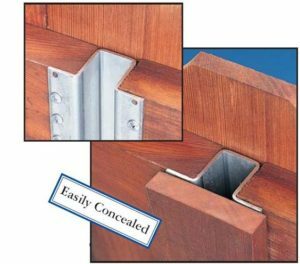 If security is your concern, Buckley gates, and EZ Latch work in concert with locking capabilities as well! Bockman Group Fence Adds Black Cedar To Product Lineup! We are so excited to announce that we are adding “Black Cedar” to our 2017 product line of fencing. As you well know, we at Bockman Group Fence are always looking for cool new ideas to work into our fences and this year Black Cedar is our pet project!. We are on a continuous mission to find the greatest and latest fence products and new and modern ideas out there in fencing and this one really caught our attention. So, what is black cedar, you may be wondering? 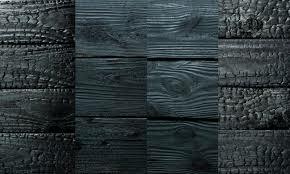 Black Cedar is actually regular cedar wood but we use a special procedure to treat the wood called “Shou Sugi Ban.” Shou Sugi Ban is an ancient Japanese method of preserving wood. Its a method of burning the wood and scrubbing it to get the deep baked natural preservation of the wood and when its done, it turns out just beautiful! 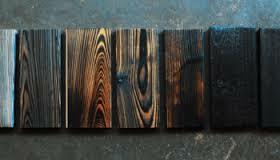 There are so many benefits to black cedar that you are just going to love! 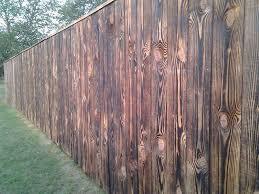 You never have to worry about staining, painting or treating you fence ever again. You don’t need to worry about getting charcoal on your hands and close because the method of Shou Sugi Ban cleans all the excess coals off the wood and leaves only the black color that is baked into the wood. You can touch this fence and not get your hands black! Let us know what you think! A black cedar fence installed by Bockman Group Fence will more than likely out live you. When installed on Steel PostMasters, this fence is a truly maintenance free fence. I just met with a representative from True North Steel from Billings MT and we have finalized a deal and we are now working with True North Steel as a supplier for cattleguards. The reason we decide to start working with True North Steel is because of their reputation for service and quality of their products and the due diligence they take in what they do! Cattleguards don’t have to be an unsightly addition to your property and that is one of the reasons we have selected True North Steel. Not only are these cattleguards designed to last forever, they are available in a variety of earth-tone colors to complement your property landscape. Economy Cattleguards are H-20 load capacity cattleguards that are fabricated from I Beams and 7 gauge rolled cap. These cattleguards are primarily used in county and forest service applications, small farm and ranch. Available in 7’5” wide x 8’ long. 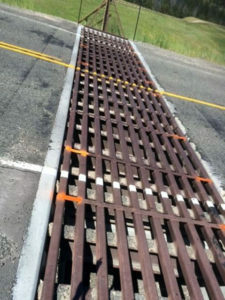 The Rolled cap steel U-shape design with the flat top makes the cattleguard very effective for livestock yet makes it easy for people to safely walk across the cattleguard. We are very excited to working with True North Steel and look forward to seeing the cattleguard application in the properties of our valued customers!